HOW TO LEARN SURF FOIL ? 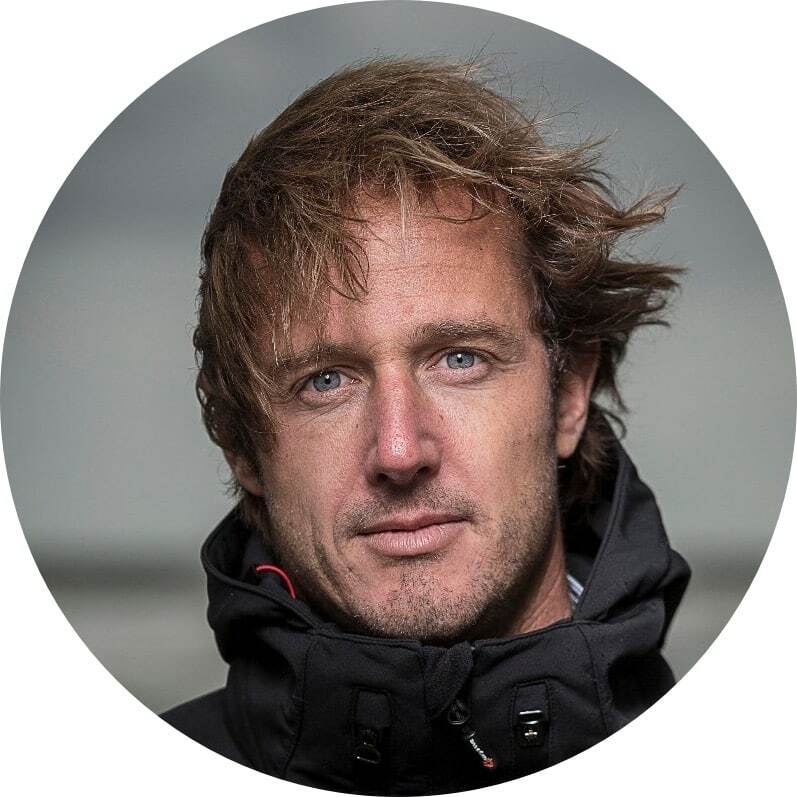 To understand the first sensations of the foil and understand the mechanism, Bruno Sroka advises you to start the foil towed behind a boat. The advantages of starting behind a boat are many. First, the beginner will feel safe because he doesn’t have to worry about the other surfers around him and the bottom under his feet. In addition, the boat’s wave is a soft wave that unwinds, so it is the ideal wave to understand and analyze the flight mechanism. When it is not possible to start with a boat, the practitioner must take precautions when launching it to avoid any danger and danger is not to be taken lightly because foil accidents exist. 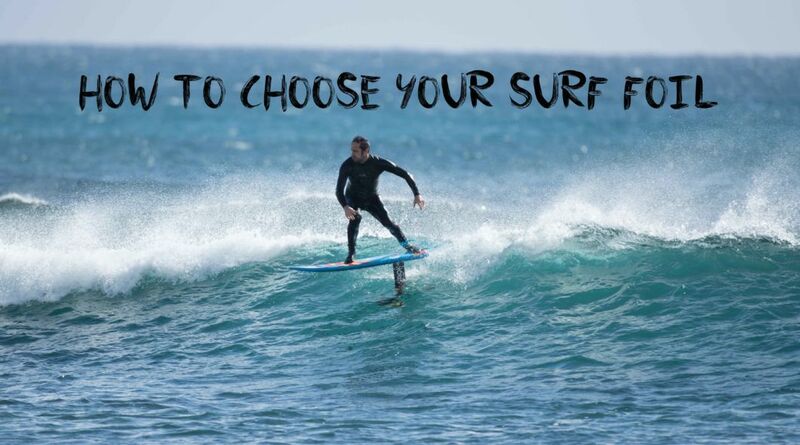 Choose a deserted spot or one with very little surfing around you. During the launch, remember to position the foil upside down behind you and slide it in your back until it is deep enough to turn the board over and start paddling. Choose a soft and flat wave that unwinds, these waves generally correspond to the mid-tides. Ideally and for more fun, choose waves of 40 cm up to 1m30 for experts. Start with a 65 cm mast and increase the size of the mast, thereafter, according to the level acquired. 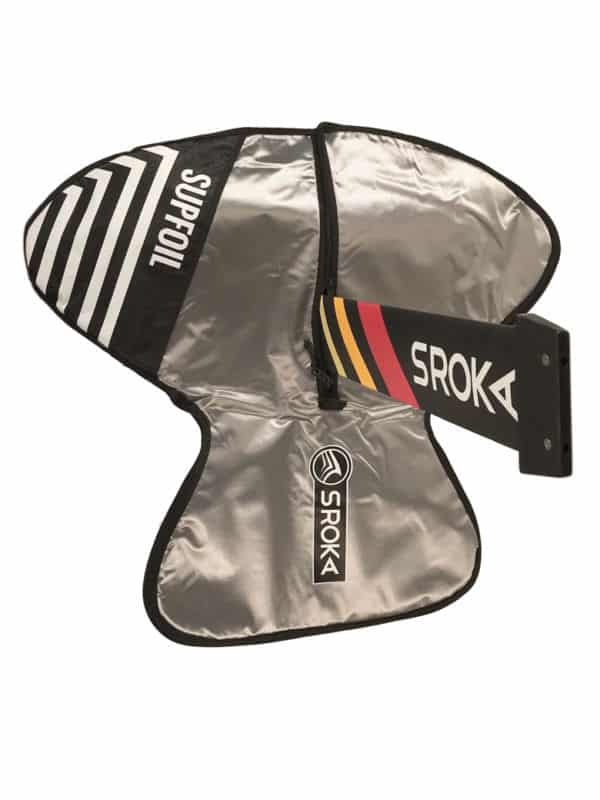 Start with a medium sized wing like the SROKA L 1500 wing. Once on the water, surfers must analyze the positioning of their feet. To do this, the rear foot is located high above or slightly forward of the mast and the front foot is located in front of the front wing. The shoulder spacing should correspond to the position of your feet. In addition, Bruno Sroka advises you not to start with a board that is too small to gain stability. 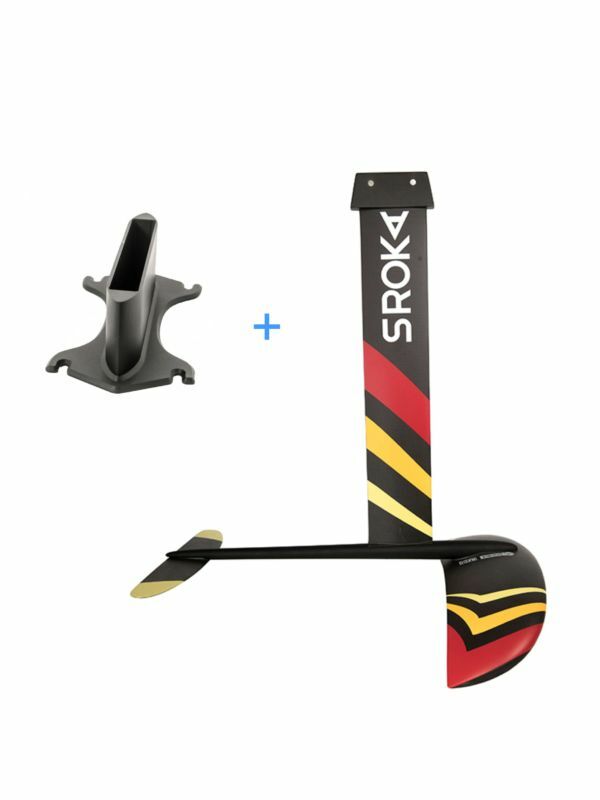 The 160×52 board from SROKA is more suitable for beginners than the pocket board, which is suitable for more experienced foilers. The foil requires a minimum of technique and control. We recommend that you have an intermediate level of surfing for this sport. It is difficult for beginners to start with a foil. Practice requires a lot of accuracy in terms of positioning and mistakes are irrevocable. Moreover, this same practice can be dangerous if you don’t develop the right habits. The ideal is to take lessons with a qualified instructor in practice. Foil is a sport that requires precautions. If you are a novice, we advise you to wear a helmet and a protective vest. Today, faced with the many foils on the market, you can quickly feel lost in your research. Here are some tips to guide you in the purchase of your foil. The 100% carbon offers several advantages : it is stronger, durable over time and does not laminate contrary to the foamed wings which are light but delaminate easily in case of an impact. At Sroka, we have chosen a foam-free construction, our mast, front and rear wings are 100% carbon. Different grades of aluminium exist on the market but are not equalled. Today the best aluminium on the market is T6061 due to its high resistance to seawater, its rigidity and the fact that it scratches much less. The quality of aluminium from Germany is much better than from the East, where aluminium is made from elements that are difficult to trace. Because we are looking for the best quality, we opt for aluminium from Germany in the construction of all our foils. Anodizing (low quality 10 micron, mid quality 20 micron and high quality 60 micron) also plays an important role in foil quality, how to differentiate between different types of anodizing? Easy! A high quality anodizing (hard) will be easily spotted because it will have a matte finish while a low quality anodizing (light) will have a glossy finish. Although it is interesting to have a carbon foil thanks to its rigidity, the aluminium fuselage is more reliable. An aluminum fuselage will be more durable over time and will protect you from the problem of tearing inserts. At Sroka, we add a screw thread (helicoil) which allow to change it if it has been damaged. 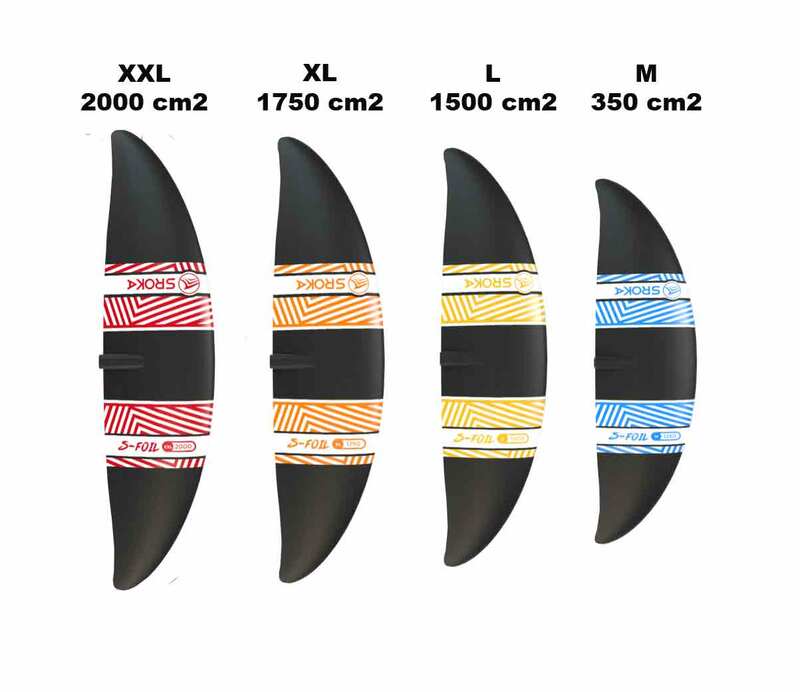 Your level (beginner, intermediate, expert) will determine the length of the surf foil mast you will choose. Shorter the mast it is, easier it will be to start. You will be able to position it more easily under your feet and especially the short mast will more easily forgive the mistakes of the beginner who is not very precise on his supports. That’s why, to initiate you to surf foil, the ideal is to opt for a 65 cm mast. As you progress, you will move towards an 85 cm mast. The surface area of the front wing depends of your level, your weight and especially on the waves you are considering. This is why it is important to have different wings in your quiver to switch wings according to the waves. The surface of the front wing, the wing profile, its thickness and outline have a particular importance on the foil’s performance. The larger the surface with profile thickness, the more tolerant the foil will be but the foil will saturate very quickly in speed. At the opposite, the smaller the wings, the faster the foil will be, but the use is more technical for the beginner. For beginners it is recommended to choose a front wing between 1500 and 1750 cm2 and then, after progression, choose a smaller wing to increase performance. Be careful, we recommend for larger sizes (+95 kg) we recommend a 1750 cm2 wing and for smaller sizes (1500 cm2) a 1500 cm2 wing. We have developed different sizes of boards. 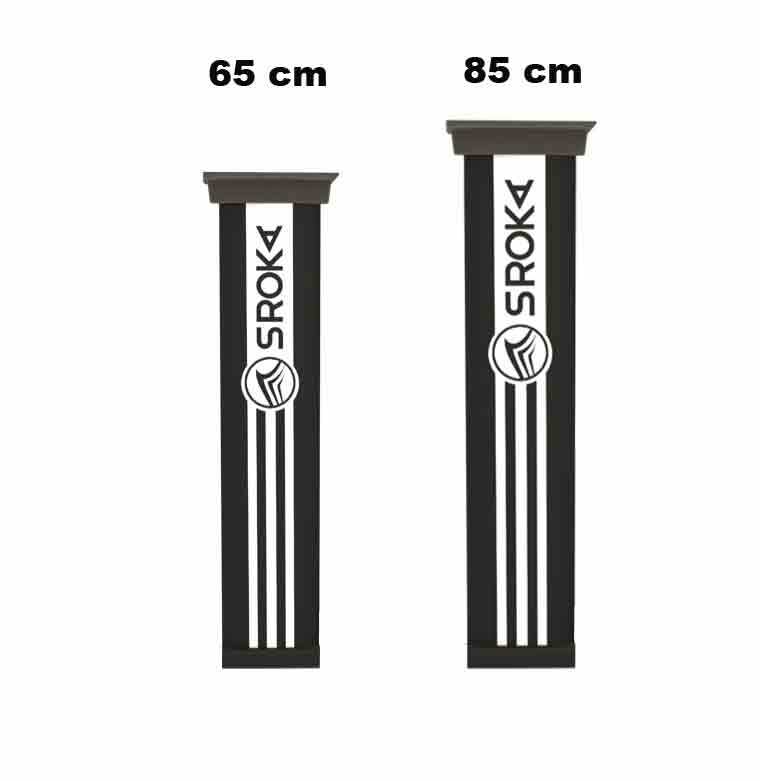 To start, we advise you to take a board with volume like the 160×52 SROKA board. 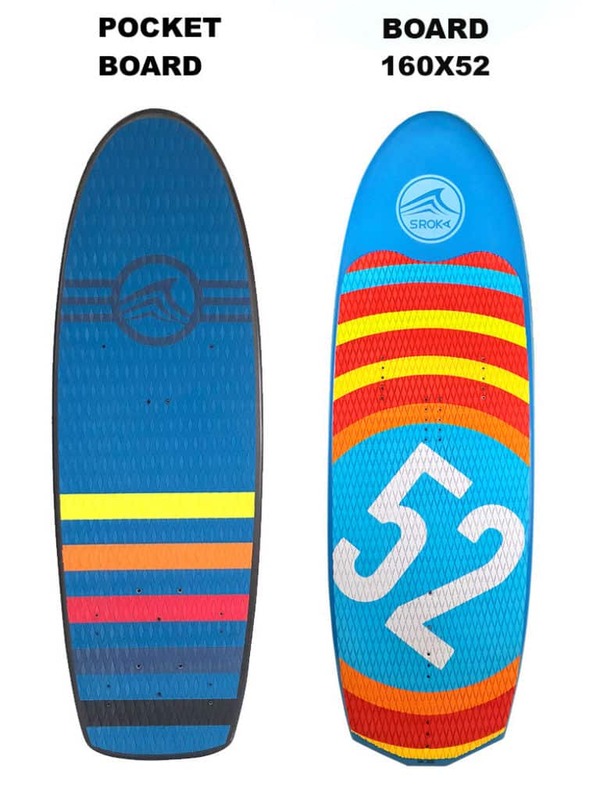 The volume provides stability, this board is ideal to start foil practice. In very small conditions and with a level of practice not yet defined as expert, this board will eliminate timing and foot positioning errors. As you progress, you will be able to switch to a more technical board such as the 138×47 or 128×47 pocket board. 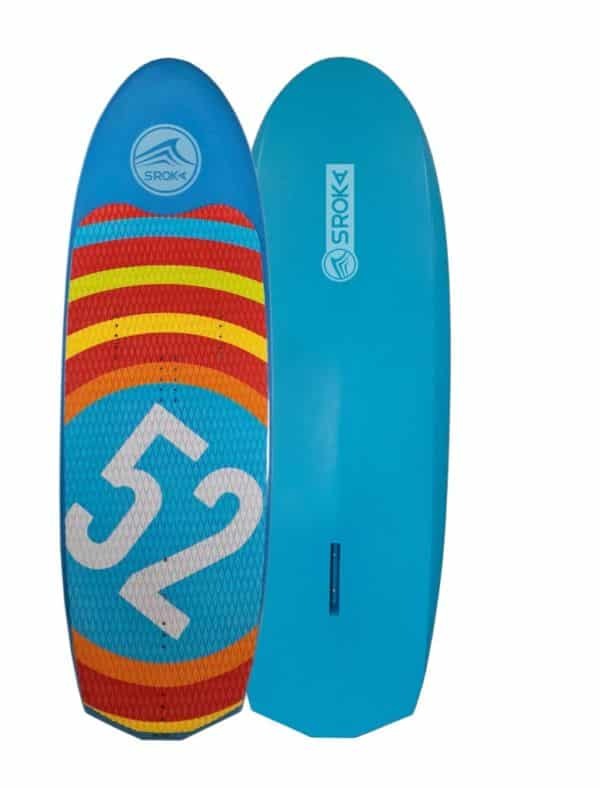 This board will allow you to reach a higher speed thanks to its light weight and is perfectly adapted to pumping.